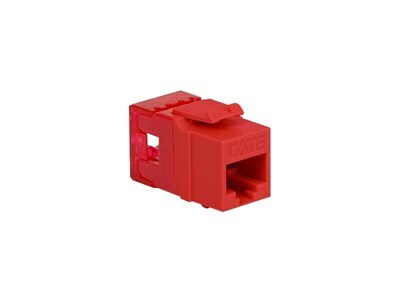 ICC's CAT 6 High Density (HD) Category 6 modular connector, RJ-45 keystone jack, is 8-position 8-conductor (8P8C) is engineered to provide superior performance and reliability, supporting Gigabit Ethernet applications and beyond. The advanced printed circuit board design is tuned to provide optimum signal quality with maximum headroom, allowing it to exceed TIA/EIA Category 6 performance standards. It offers superior signal quality and noise reduction due to its enhanced Near-End and Far-End Crosstalk cancellation and minimum return losses. The HD design offers a smaller rear footprint maximizing space in confined work areas.